During my 2nd web shop production I found myself taking late orders even after the orders were closed. And this worked pretty well. So what I’ve decided to do from this point on is to simply continue to take all orders as they come. Initially, what I tried to do was to offer high quality, high concept art pieces (in this case, jeans) at below $200. However, due to economies of scale, that’s not quite possible anymore. In short, production costs have increased by $20/pair. I, thus, have no choice but to pass that increase along to consumers. 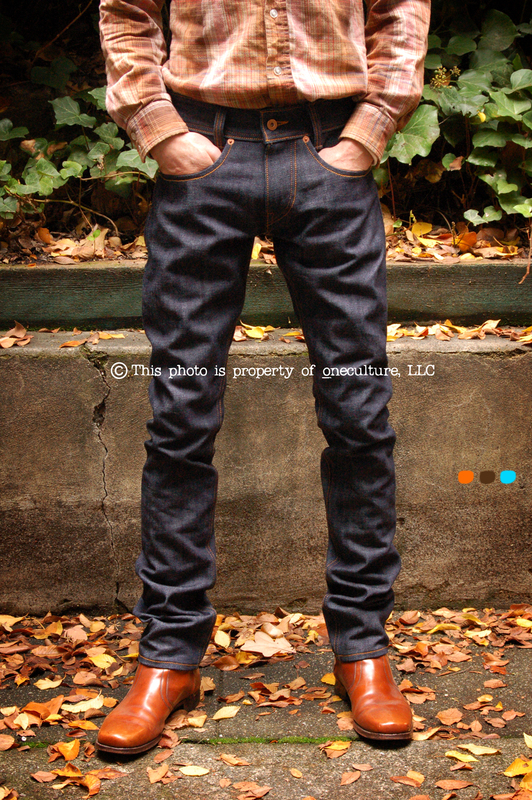 The price/pair will now be $195 for the Cone Mills selvage and around $210 for the Japanese selvage. 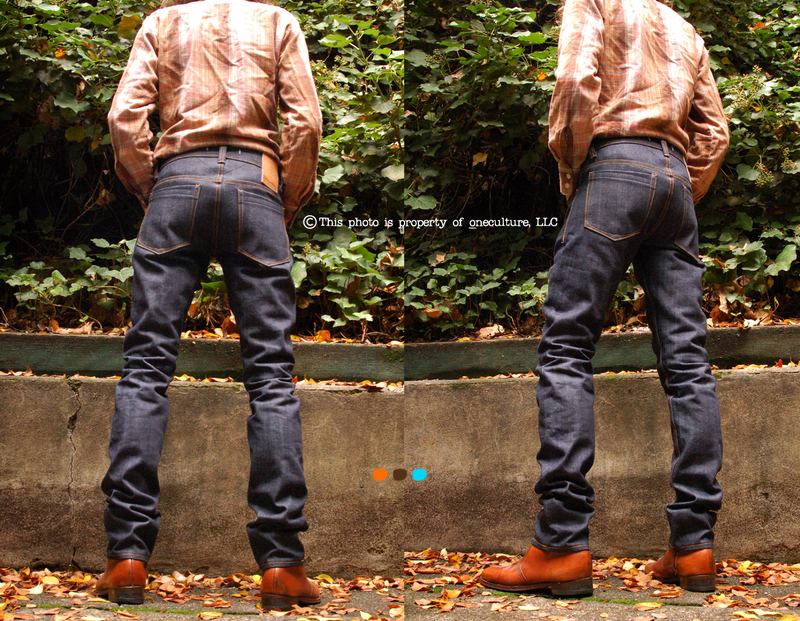 With regard to the Japanese fabric, the price will fluctuate with the cost of the denim. Having said that, fairness has been the foundation for my price range and, considering what’s out there, I still consider $195 – $210 to be very fair–not to mention the offer of free shipping. Additionally, I could have simply raised the price and not addressed it. The reason that I’m sharing is because I feel it’s important for consumers to understand why clothes cost what they do. I’m a consumer too! Please understand that the pieces in my inventory were made at the previous cost, so the price/pair is as it was previously; $175-$185. So if you see anything in your size that you’re interested in, just drop me an email. These pairs are ready to ship! Click here to view my inventory. “your Japanese denim description got me though. And I ordered. And I’m glad I did. The fit is really great. I wore them all day yesterday – just over 12 hours. Not too bad for a first wearing. And you were right about the fit with boots, works very well. But, and I’ve said it before, it’s very difficult to get orders when buyers are unaware of your brand. Buyers/boutiques/denim shops are in this business to *make money*. And as such, they don’t typically take chances on unproven brands. 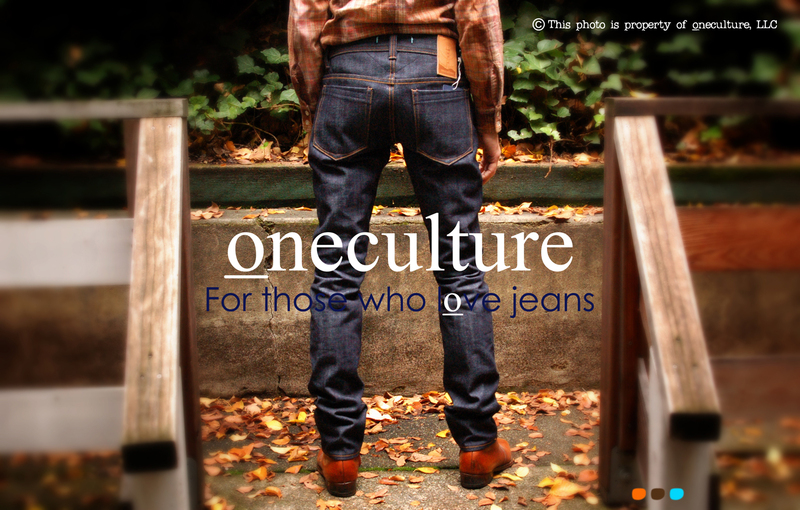 But that’s exactly what I’ve been trying to do with my little makeshift web shop–prove oneculture’s worth! The web shop is definitely not a money-making operation at all! On the contrary, it’s a way for me to provide constant access to my product for those consumers who enjoy my work. Again, it’s ultimately a way to establish and prove my brand’s worth to buyers and/or potential investors. And with that, I’d say the fact that I’m continuously taking orders during a terrible recession with nothing more than a blog is proof that oneculture has great potential. So, in addition to continuing running the web shop, my immediate plans are to begin working on the next version of Pulsar (version 4). My focus lies solely on doing good work and providing a great finished product. But as usual…despite my best efforts, only time will tell what obstacles lay ahead in 2011. I’m excited!! In any case, I’ll keep you all posted. Stay tuned! 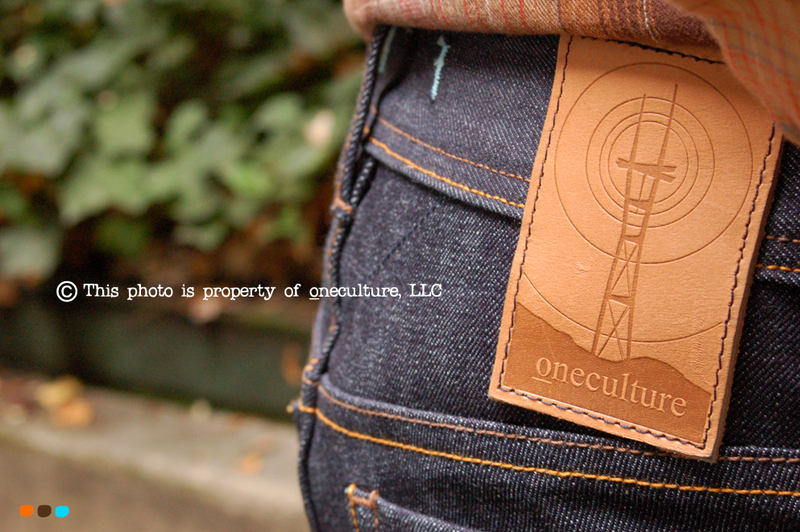 This entry was posted on Monday, December 20th, 2010 at 2:41 am	and tagged with Bay Area, Dry Denim, For those who love jeans, Japanese Selvage, Japanese Selvedge, oneculture, oneculture denim, oneculture inventory, oneculture web shop, Pulsar, Raw Denim, San Francisco, San Francisco Dry Denim, San Francisco Raw Denim, start up, The Blues Jean Bar, The Denim Debate, The Need Supply Co, Underground Art, Villains, Villains Vault and posted in San Francisco Raw Denim. You can follow any responses to this entry through the RSS 2.0 feed.